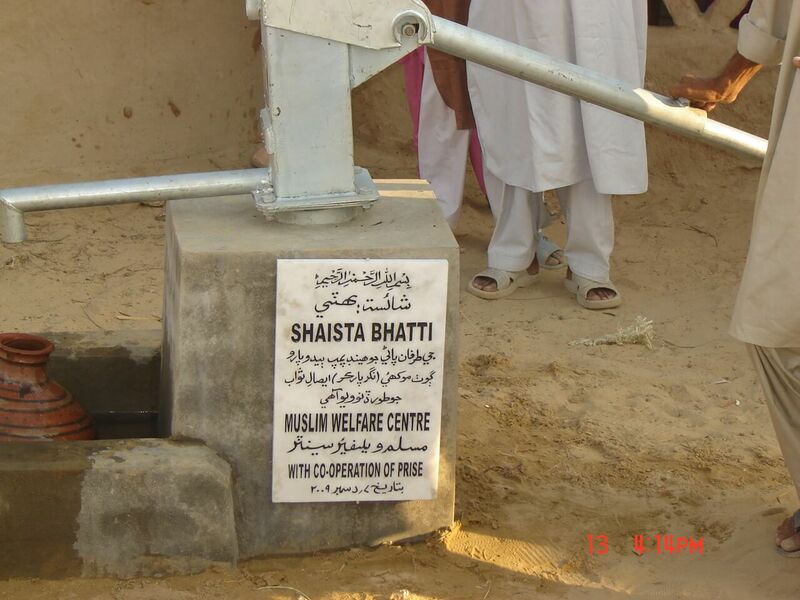 The Muslim Welfare Centre’s Water Exploration Project brings this basic necessity to the underprivileged people in the remote villages of third world countries. 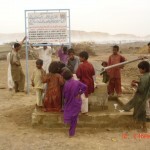 A harsh but true reality is that clean drinking water is inaccessible to many people living in third world countries. 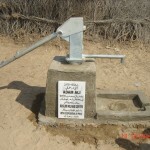 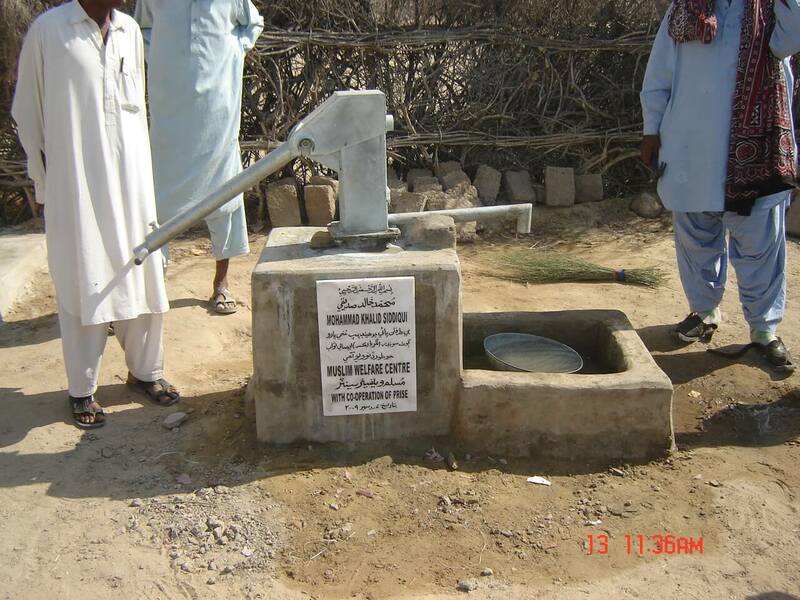 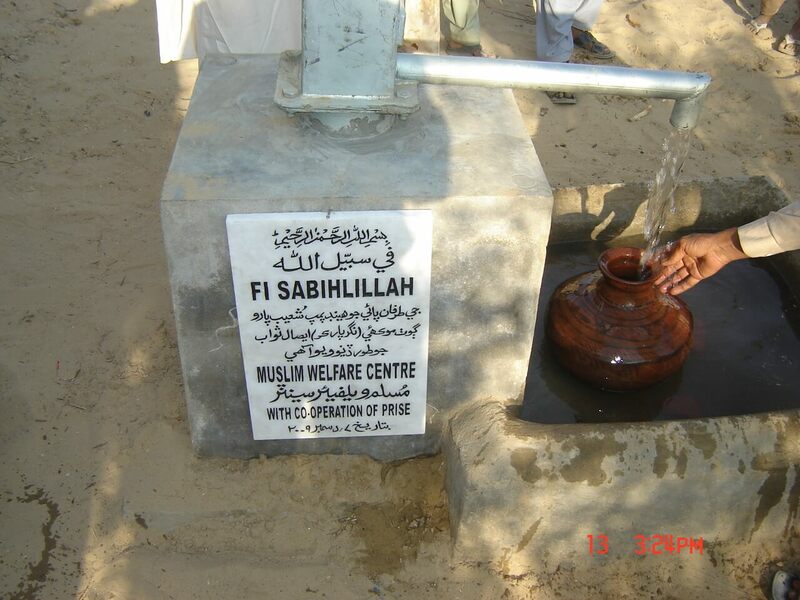 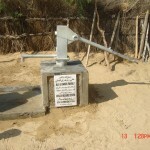 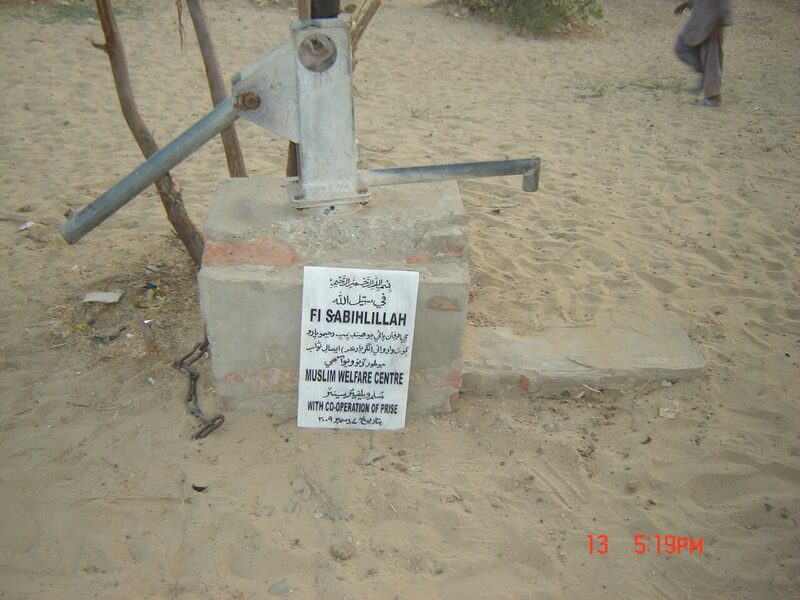 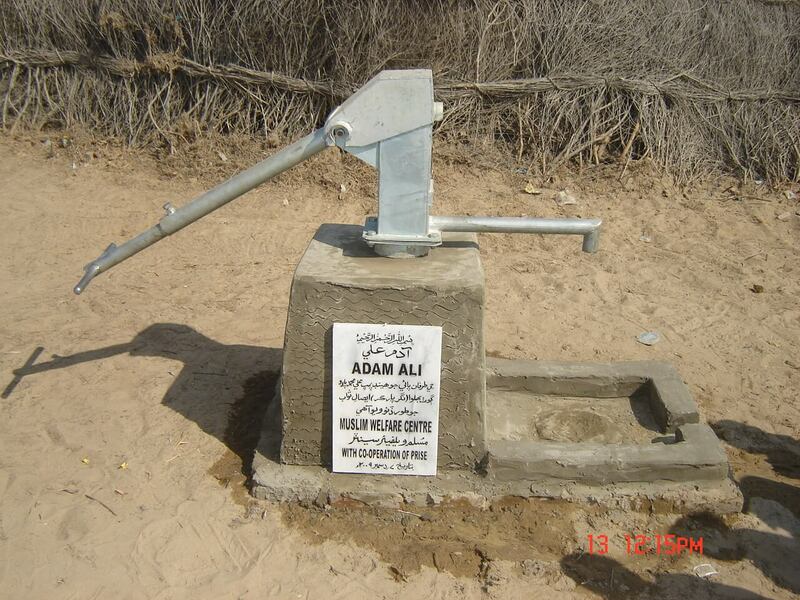 With the support of numerous donors, the Muslim Welfare Centre has been successful in providing consumable water through the digging of water wells and the installation of hand pumps. 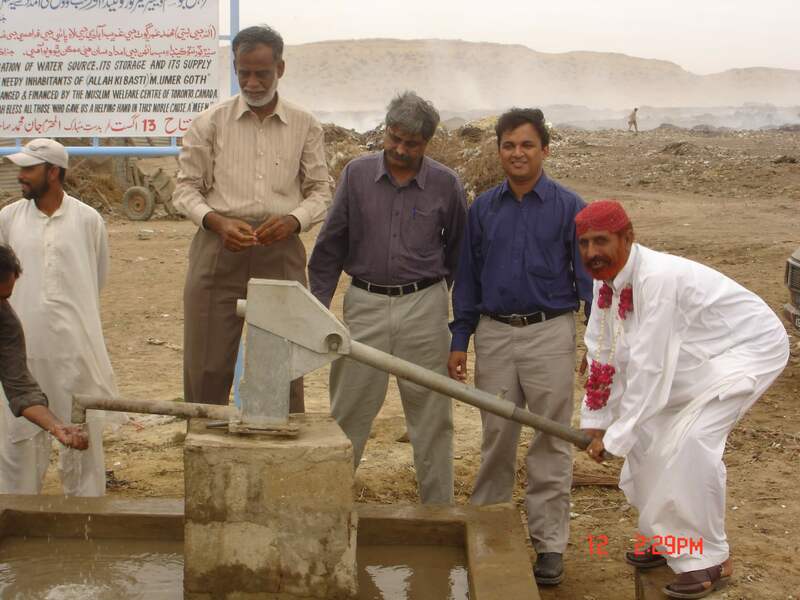 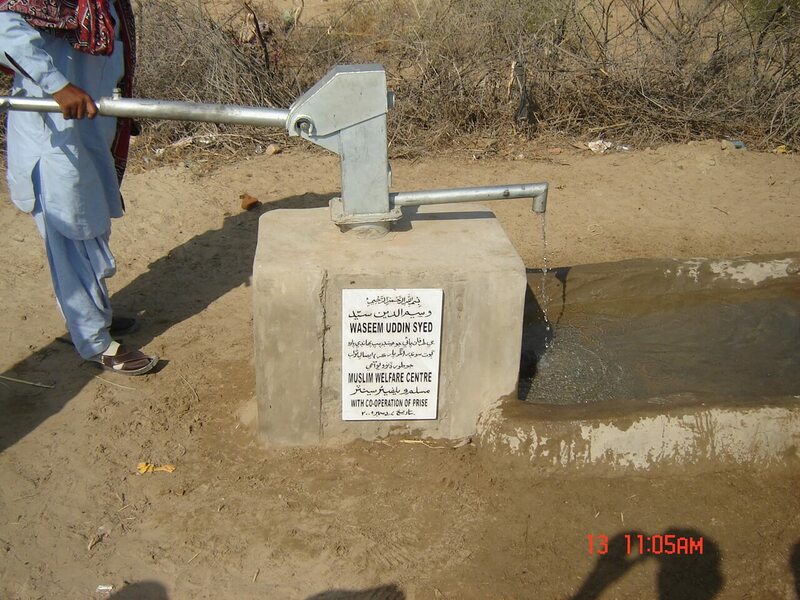 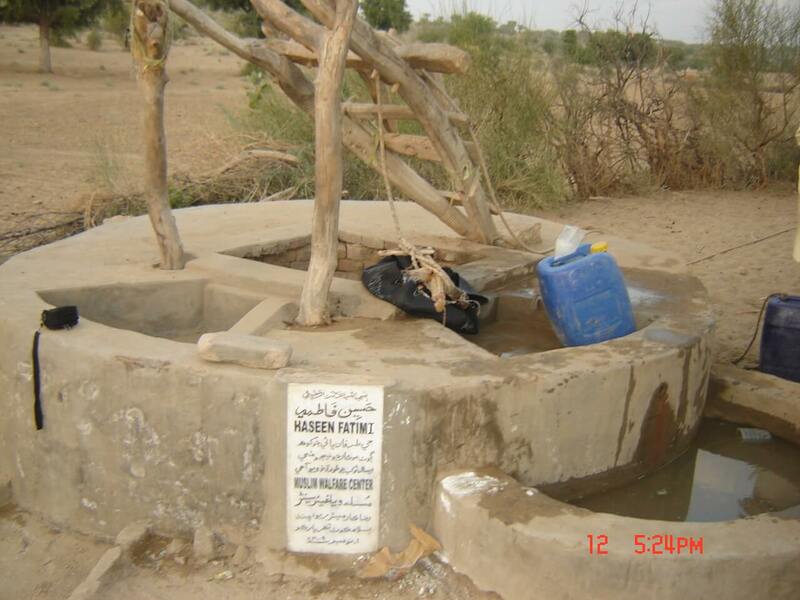 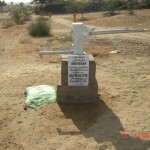 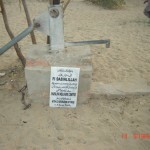 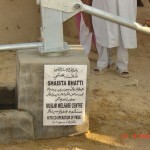 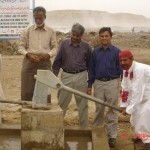 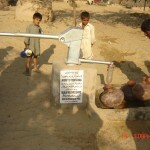 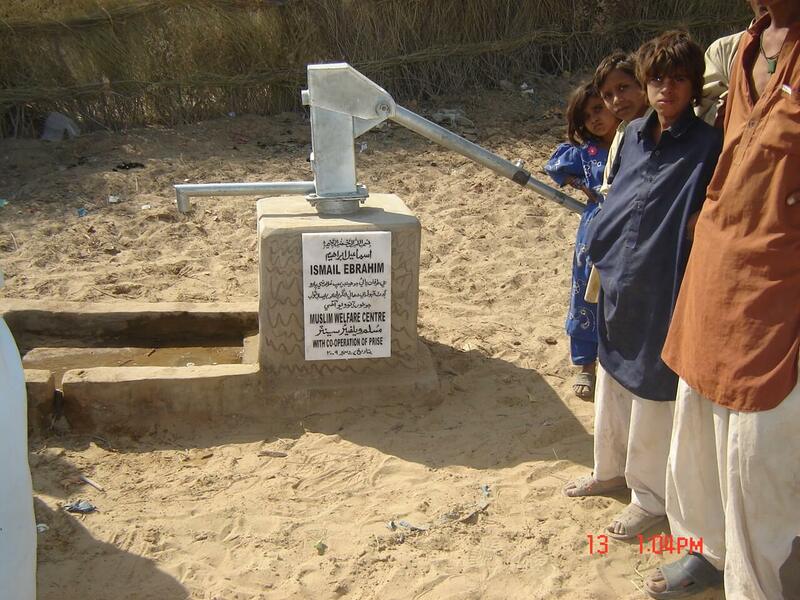 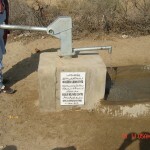 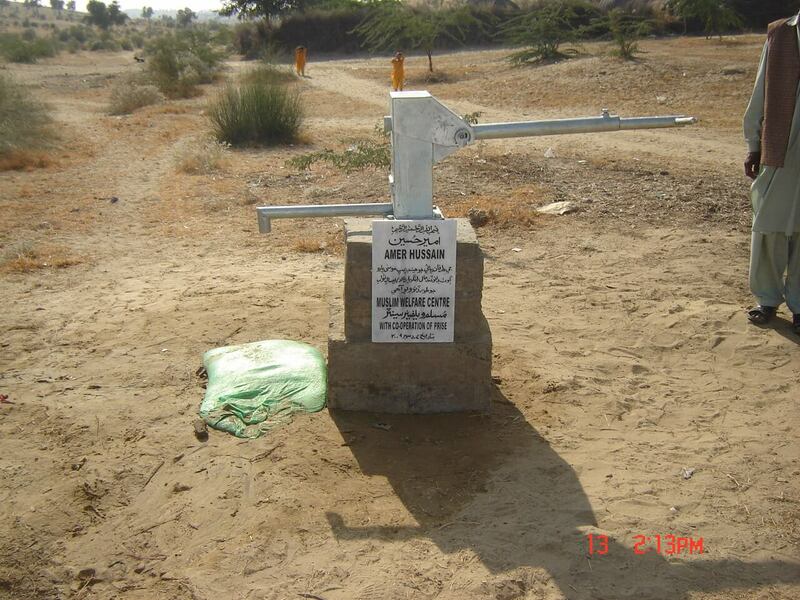 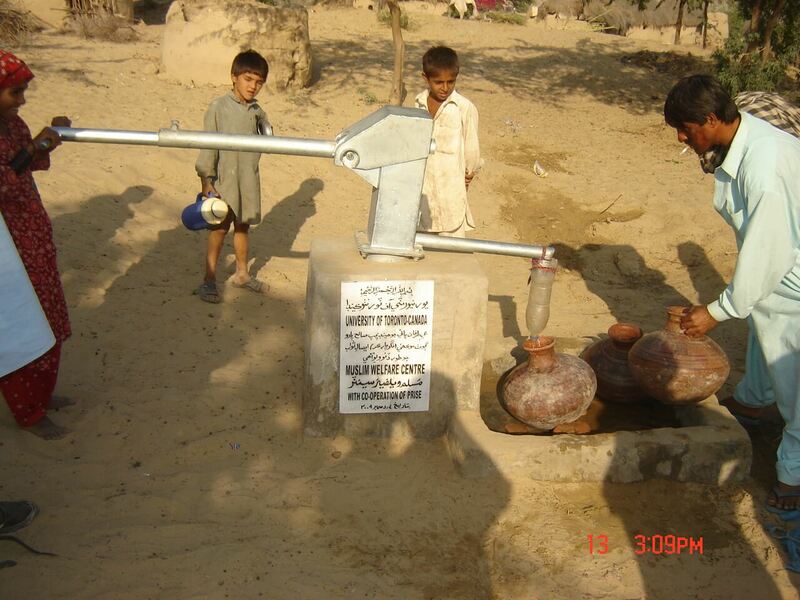 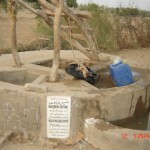 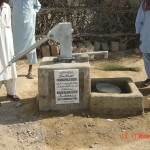 Our initial project started in the Thar Desert region of Pakistan. 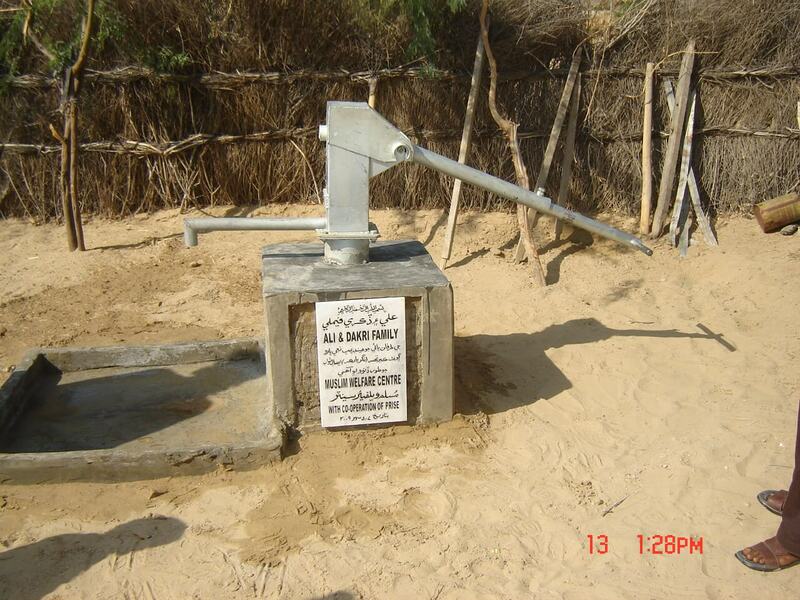 To date, the Water Exploration Project has provided over 91 wells and more than 302 hand pumps which have helped thousands of people access clean drinking water. 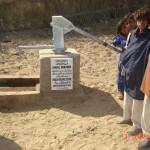 Our goal is to expand this project to other parts of the world where the need is great. 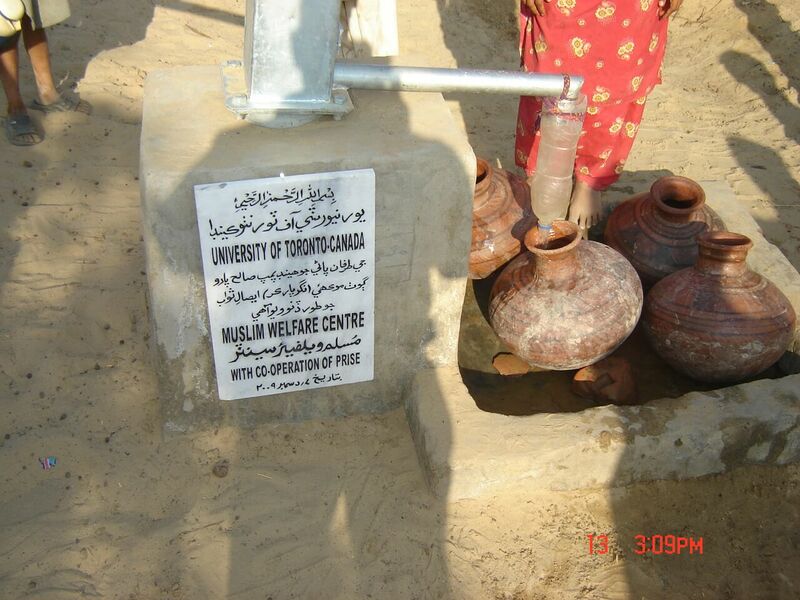 Providing water to the thirsty, animals, or vegetation is a noble act and can become a perpetual charity. 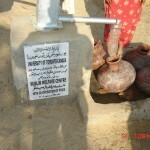 You can support this important project by sponsoring a water well for a one time donation of $2500 or $800 for a hand pump. 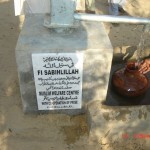 In acknowledgement of your support, Muslim Welfare Centre will place a plaque with the sponsor’s name on each well or hand pump. 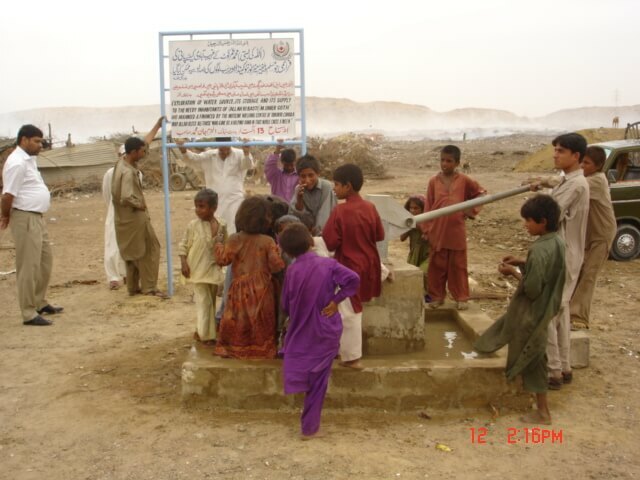 To learn more or to make a donation, please call or visit any one of our offices.